Traditional Soap Making at its best. We make our soap using traditional methods which ensures that glycerin remains in the product. First, we slowly melt together the food grade oils and butters. Once they have melted, we allow them to cool to the correct temperature before adding an alkaline solution which acts as a catalyst for turning the oils into soap. The mixture is then stirred until it thickens and reaches what is called 'trace' (a little like when you are making custard). Once trace has been reached it is time to add the essential oils, and any flowers, herbs or spices that we might be using. When these have all been thoroughly mixed the soap batter is put into a mould. The moulds are wrapped to insulate them and then they are set aside until the soap is ready to unmold and cut which is usually the following day. 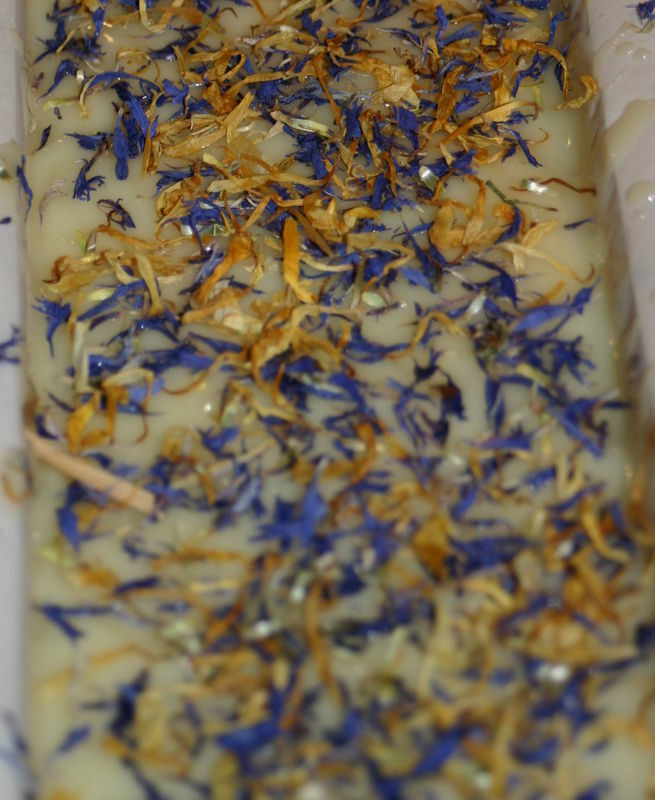 Once cut, the soap is carefully placed on the curing racks for 4 - 6 weeks until it's ready to wrap. During the curing process you can lose up to 12.5% water giving you a nice hard, long lasting bar of soap.